Orthopaedic Trauma Surgeon Michael P. Leslie, DO, knows firsthand the demands and intricacies of performing surgery in a Level 1 Trauma Center. He’s an Assistant Professor of Orthopaedics and Rehabilitation with the Yale Medical Group, which is affiliated with Yale School of Medicine. Shedding Light caught up with Dr. Leslie to discuss his practice and how Enova LED surgical headlights impact his ability to perform surgery. Surgeons asked us for a coaxial LED surgical headlight with adjustable aperture and we’ve responded. The Enova XLT-125 is our newest headlight and the brightest LED coaxial surgical headlight on the market. You get 125,000+ lux of pure white homogenous light (6100 degrees Kelvin) for true tissue rendition and the best illumination for deep cavity surgery. 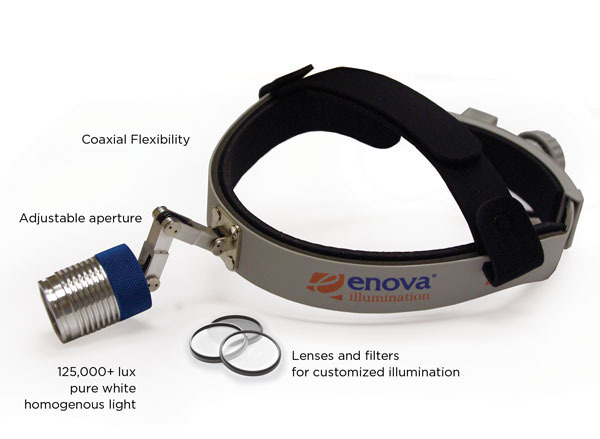 Plus, Enova offers a set of lenses and filters for customized illumination. Learn more. Patients affected by problems or accidents that cause trauma do need therapy. But I just found out that people may need orthopedic trauma therapy. After thinking about it, even bone can experience severe trauma. For example, after an accident and a very loud impact that happen immediately.